A leaked FIAU report published in July last year confirmed that the FIAU found reasonable suspicion of Mizzi’s involvement in money laundering and/or the existence of proceeds of crime and recommended police action - Simon Busuttil. Why did Konrad Mizzi drop the libel cases he opened himself to prove his innocence? After all, the allegations of corruption and money laundering in his regard are extremely serious. Let us recall the facts on which the allegations are based. They are in the public domain. Fact #1. 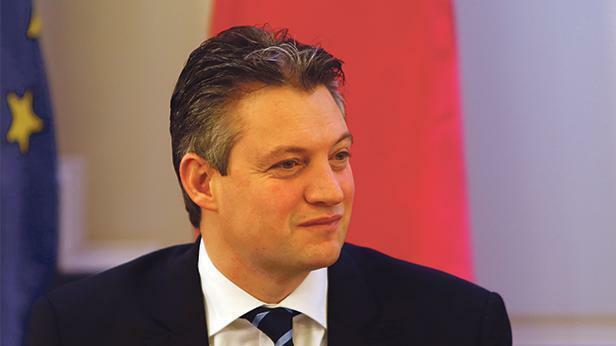 In February 2016, Minister Mizzi and the Prime Minister’s very own Chief of Staff, Keith Schembri, were exposed by Daphne Caruana Galizia as having opened secret companies in Panama while in public office. Caught red-handed, they admitted. But the Prime Minister kept them in office. Fact #2. In April last year, an e-mail was published showing that their companies were specifically opened to receive €5,000 daily from a Dubai-based company, 17 Black. The e-mail was written by Karl Cini, who opened the companies for Mizzi and Schembri along with a third one for someone ‘whose name could not be written’. Fact #3. In November last year, Reuters and this newspaper revealed that the secret owner of 17 Black was none other than Yorgen Fenech, one of the owners of Joseph Muscat’s controversial powerstation project. Meanwhile, a leaked FIAU report published in July last year confirmed that the FIAU found reasonable suspicion of Mizzi’s involvement in money laundering and/or the existence of proceeds of crime and recommended police action. However, it failed to do anything about it. These facts cannot be denied. They are not speculation. They are so damning that you need to sit down to absorb their magnitude. And they do not just concern Mizzi. They also concern Schembri who is in it with Mizzi. And then there’s the Prime Minister himself who defended the indefensible pair for so long that he has cast a long shadow of suspicion over himself. Our country is effectively run by these three men, all of whom are implicated in these allegations. Corruption is notoriously difficult to uncover. It is thanks to the efforts of Daphne and the journalists at DaphneProject that we learnt about this case that alone, involves daily payments of €5,000. Judging by the scandalous deals concluded by Mizzi over the past six years, this is probably just the tip of the iceberg. It has now been three years this month since Daphne first exposed them. So why is it that no political responsibility has been shouldered by anyone? Why is it that our public authorities, including our law enforcement agencies, have done nothing? Why is it that even our courts have rejected a request to at least open an investigation? Certainly not for lack of evidence, because the facts out there are more than enough to warrant at least an investigation. Yet, our institutions are unwilling or unable to act. So in the total absence of action from our institutions, some of us felt compelled, out of civic duty, to fight for justice. For three long years we have been demanding justice. For three long years they have been trying to block it. The glaring truth is that our country is being run by people who should be facing justice. They are using their position of power to protect themselves from investigation and to run away from justice. And our institutions are paralysed and powerless to take action against them because they are either indebted to them or too scared to do their public duty. Meanwhile, our country’s name is being dragged through the mud because even outside Malta, everyone can see what is going on here. And it does not look good. So the question we are now facing is whether we are prepared, as a nation, to let these three people take our country down with them. We should not. Because this is our country too. What is at stake is not just their personal interest but our interest too. If our country goes down, we all go down with it. So it is in our interest to act before it is too late. This is why we must persevere until justice is served. This is why we must soldier on. We must do all we can. We must go back to our courts until they accept to investigate. We must go to the European institutions because what is at stake is not just Maltese law but also European law and more so, the European values that we embraced when we joined the European Union. Justice. Democracy. Human rights. The rule of law. After all, many of us have always seen the EU as a guarantor that would help us defend our values. Bluntly put: we must knock on the doors of justice until they are opened. Mizzi’s cowardly act last week confirmed that we were right all along in believing him to be corrupt. But it also gave us new hope that, sooner or later, truth will prevail. Simon Busuttil is former Leader of the Opposition.